There is no major difference in meaning between my friend and a friend of mine – only some subtle differences in usage. A friend of mine is a little more “distant” or non-specific about the person. My friend Kalinda lives in Washington. A friend of mine from college lives in Washington. In the first sentence, we say the friend’s name – Kalinda. It’s more specific and more personal. In the second sentence, we don’t say the friend’s name if it’s not so important in the context of the conversation. This is my friend Kalinda. This is Kalinda, a friend of mine from college. Notice that my friend comes before the name, and a friend of mine comes after the name, as a description giving more information. 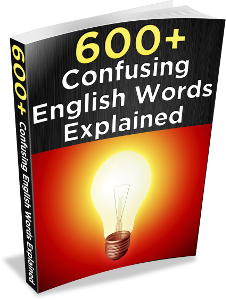 Clear up your doubts about confusing words… and use English more confidently!